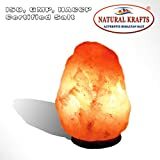 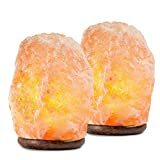 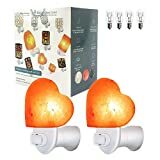 Himalayan salt lamps are said to release negative ions that help to freshen and purify the air, promote positive mental and emotional health, help one sleep, and more. 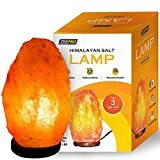 Well forget about the typical blob- or pyramid-shaped designs and check out this cool new Crescent Moon Himalayan Salt Lamp instead. 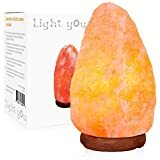 This celestial-inspired lamp is crafted from 100% natural pink Himalayan salt rock, is shaped like a crescent moon, and emits a soft glow from the small candelabra light bulb warming it from the inside. 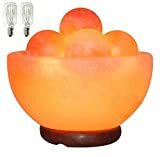 The perfect, relaxing bedside nightlight.